What type of home do you currently own? How is your home being used? What is the balance of your current loan? Call Us! 800-430-1627 or Get Started Today! At Saig Mortgage Team we take pride in our great customer service. Our staff is here for you, so don’t hesitate to contact us if you have any questions, problems or maybe a suggestion. We would love to hear from you. "This was the second refinance that we completed with Oren. The process went so smoothly and before we knew it the loan was completed. He is a pro with what he does. If you want peace of mind contact him." "Oren was a great person to work with throughout the process of buying our home. He communicated well and put us at ease. Oren was always willing to answer questions, communicate with the various people involved in the home buying process and able to meet the demands of my challenging work schedule. I have been recommending Oren to everyone." "My husband and I had the pleasure of working with Oren Saig on our home purchase this year. He is extremely knowledgeable and followed up with every question or concern we had. In addition, Oren is very trustworthy and took special care to give us information about every document we had to sign. 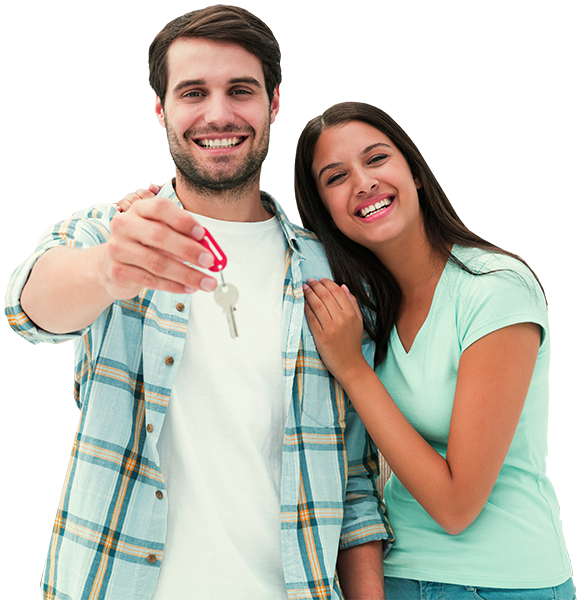 We value him as a loan broker and will use his services in the future for all our mortgage needs." I am extremely satisfied with Oren's services and had a great experience. He was extremely helpful throughout the loan process explaining everything so I knew what was going on which made things less stressful. Oren answered all my questions and returned my calls promptly. He was able to get me an amazing rate and had the loan completed ahead of schedule so we actually closed earlier than expected. He is very knowledgeable, trustworthy and truly cares about his clients. I will refer everyone I know and highly recommend his services to anyone shopping for a mortgage. Oren helped me refinance my home and saved me a lot of money. He was always there to answer any questions and I appreciate that he returned my calls quickly – you don’t always find that! The refinance process was always difficult but with Oren it was quick and easy. If I ever buy another home or refinance again, I will be calling Oren. I recommend him to everyone! "Oren was a pleasure to work with. He is very professional, dedicated and knowledgeable. After our first meeting, I could tell that he was looking out for my best interest. He explained the process very well and made sure all our questions were answered. He was always available and returned my calls quickly. I was impressed with how fast the refinance process was using Oren and could not be more satisfied with the work he did for me. We got a great loan with a low rate! I would recommend Oren to all my friends and family." "He was always responsible and quick to answer our questions. Our situation was very tough according to the previous agent who never responded us back. However, when Oren took a look at our application, he was happy to help us. We got a great loan. We got a single home in a valley in LA. Also, after-care is amazing. He helped us a lot. I recommend him to everyone." "Oren was very helpful and walked us through getting a home mortgage. He was always available to answer our questions and made the process stress free." "Thanks Oren! I appreciate all the time you put into getting me a great loan. I will send everyone I know your way." "We were first-time home buyers and the mortgage process was all new to us. Oren was great about explaining everything and we felt comfortable right from the start. We got his name from a friend and we couldn't be more grateful! Thanks to Oren, we are proud homeowners!" "We were referred to Oren by a friend after being denied a loan through one of the large banks. We had already given up hope of becoming homeowners in this crazy market and our credit wasn't all that great as well. Oren went above and beyond, working diligently to find a solution to our problem. Without his help and guidance we would not be homeowners. Thank you." "So happy we were introduced to Oren. He listened to our situation and figured out how we could buy a home. He walked us through the process step by step and closed the loan faster than we anticipated. We are clients for life." "You are awesome at what you do! Fantastic job from start to finish. I couldn't be happier with the outcome. Total pro! Thank you very much." "Oren refinanced my loan and saved me a ton of money. I was hesitant on moving forward since I remembered my last experience with a different lender. The entire process took a few weeks and I was surprised at the speed and efficiency. I collected all the documents and Oren did all the rest." Here we tried to answer the most important questions you may have. For more answers call 800-430-1627. Copyright Saig Mortgage Team 2019. All Rights Reserved.